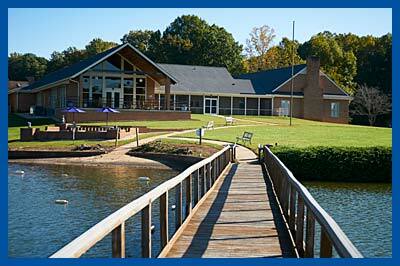 Camp Dogwood, located on Lake Norman in Catawba County, was started in 1967. It is owned and operated by the North Carolina Lions, Inc. Nothing like this camp exists anywhere else in the state, and from the first, it was a project that North Carolina Lions embraced. The original idea was proposed by the North Carolina Association of Workers for the Blind, an organization made up largely of alumni of the State School for the Blind in Raleigh. In 1959 a committee was formed to study the needs of the blind in North Carolina. Three lions, all of whom were blind, served on this committee: William Joyce, Ben Eason, and C. Coleman Cates, Jr. Cates suggested that since the project was closely tied to the objectives of Lionism, it should be presented to the Lions throughout the states to enlist their support. At the annual meeting of the North Carolina Lions Association of the Blind in 1964, Lion Cates presented the Camp Dogwood Project, and the Association adopted a resolution to sponsor it. The first building to go up was the “Lodge” in 1968. The first year that camp was held, this was the only building. Camp Dogwood has come a long way since its early days. It has grown from one building to a beautiful retreat center campus. 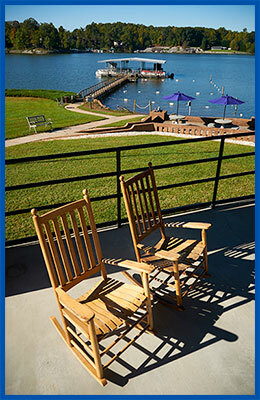 While the Camp is located in a lovely natural setting, the accommodations are not rustic. Our campus features hotel style guestrooms, meeting rooms and amenities. Remarkably, the North Carolina Lions built the Camp and support it today without any federal or state money. Funding comes from individual clubs, and private donors. Holding a vision for the future has always been an important part of Camp Dogwood, even when it was little more than an idea. The North Carolina Lions recognized the power of the idea, and over the years, helped it to take shape. 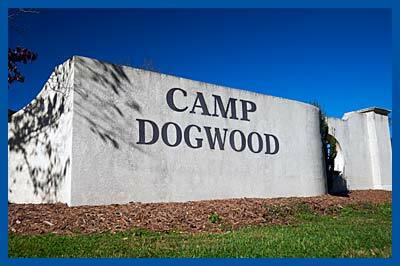 Camp Dogwood has grown into the remarkable facility that it is today because Lions all over the state, interested in improving the lives of the blind, were willing to work together. With imagination and renewed sense of purpose, the future will be just as remarkable as the past. For the inspiration behind Camp Dogwood is the very heartbeat of Lionism – touching and changing lives through unselfish service.